Click on Map Gallery of Religion for links to maps showing U.S. distribution of additional religious groups. [Update 8/14/12] For the sake of completeness and to provide backup, I’ve added the other maps from the Map Gallery, except for a set giving a breakdown of the various Lutheran sects in the United States. This entry was posted on February 22, 2011 at 4:52 pm and is filed under Religion. You can follow any responses to this entry through the RSS 2.0 feed. You can leave a response, or trackback from your own site. And where are the atheists? 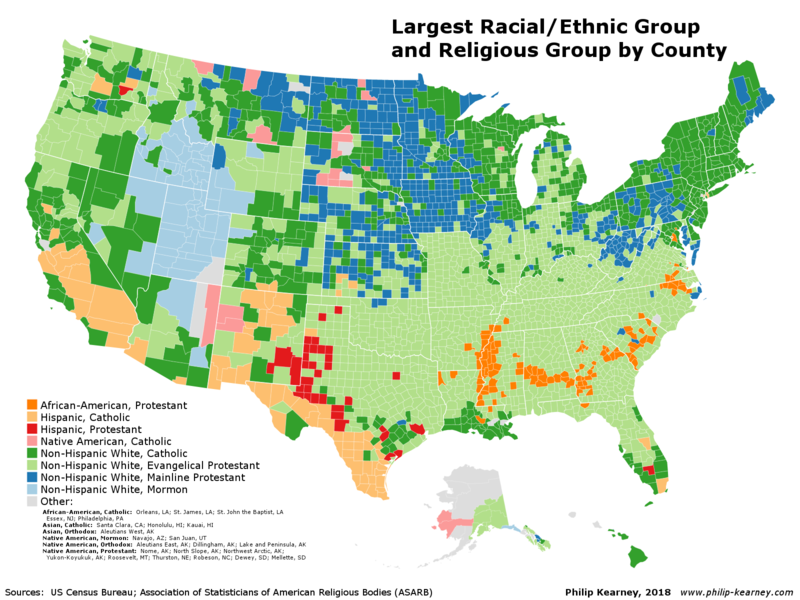 I don’t have a map for atheists, but the yellow and tan areas in the second map indicate American counties where members of religious bodies are less than 50 percent of the population.